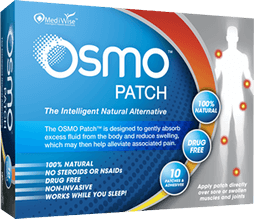 Disclaimer: The information on this page is intended for individuals who have been medically diagnosed with trochanter bursitis. If you suspect that you have trochanter bursitis then it is important to visit a qualified medical professional in order to rule out any other possible causes prior to considering any advice or treatment option. Trochanteric bursitis is a common form of hip bursitis and occurs when there is inflammation and swelling of the trochanteric bursa. 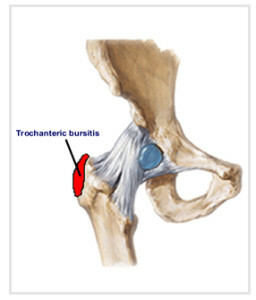 Trochanteric bursitis is located between the outer point of the hip (trochanter) and the overlying gluteal muscles. A sign of trochanteric bursitis may be pain felt over the outside of the hip which may even radiate down the outside of the thigh and travel as far down as to the knee. To learn more about hip bursitis click the link below.